Ready to donate to the Riverside Fox Theater Foundation? 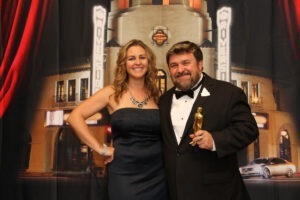 A Red Carpet Evening at the Fox is designed, specifically, to raise funds for the Foundation’s education programs, while presenting a fun event for community members. The Red Carpet fundraiser is a Hollywood awards-viewing party on the biggest night of the year – where our the guests are the stars, and they walk the Red Carpet, at the same time the stars are walking the Red Carpet in Hollywood. This evening of glitz and glam culminates with watching the awards show of the season on the movie screen at the theater (and smaller screens throughout the venue), all while enjoying celebrity look-alikes; themed activities; gourmet cuisine; and celebrity-grade cocktails. Please refer to our Sponsorship Brochure for details regarding the benefits of each donation level, or select your donor level below! 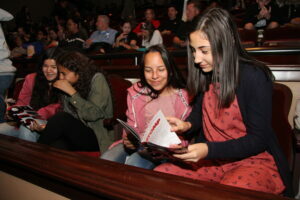 Students at Broadway is a program that provides free tickets to elementary school through college-aged students, for Broadway shows that come to the Fox Performing Arts Center each season. Our program fills a critical gap for our regional public school educational/arts programs, where our partner educators work diligently to provide creative and engaging arts opportunities for their students, but have hard limits on funding and access to professional shows. With help from our marvelous donors like you, and several grants, our Foundation purchases Broadway tickets in bulk at a discount, and strategically distributes them to our local school districts to maximize impact across our region. For many children, this is their very first live theater experience, since 67% or more of students in local schools come from low-to-moderate income families, making cost the key barrier to access. Students at Broadway donations help support this amazing outreach program – and every dollar makes a difference, so we thank you for your support! 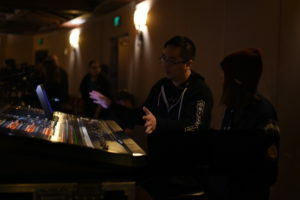 Live Tech is the Fox Theater Foundation’s smash success pilot program for vocational and career technical education (CTE) opportunities for high school students through the Fox Performing Arts Center. It teaches theater technology to area students, using the Fox Performing Arts Center as a professional-grade learning lab and Live Nation (the theater operator) professionals as instructors. Live Tech donations help support this amazing technical education program – every dollar makes a difference, so we thank you for your support! We are honored by your membership commitment to the Fox Riverside Theater Foundation! The generosity of our donors sustains our mission, ensures our continued growth, and leaves an enduring legacy for generations to come. Membership is a a wonderful way to engage with, and support, the many outreach programs here at the Fox, and it comes in all shapes and sizes. Please refer to our membership benefits page for details regarding the benefits of each donation level. Below, you’re able to select your donor level and pay your annual pledge (1/5 of of your 5-year commitment), or for your convenience, pay a custom amount at a frequency that works best for you. We thank you for your contribution! We are honored by your committment to the Fox Riverside Theater Foundation! The generosity of our donors sustains our mission, ensures our continued growth, and leaves an enduring legacy for generations to come. Please refer to our membership benefits page for details regarding the benefits of each donation level. Below, you’re able to select your annual gift amount, or for your convenience, pay a custom amount that works best for you. We thank you for your contribution!